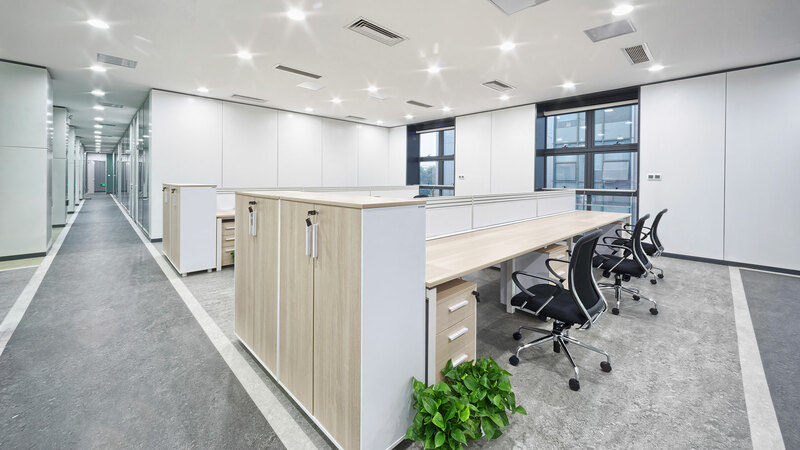 Commercial Carpet Cleaning Pasadena, CA | DWMS Inc.
As a business owner in Pasadena, you don’t need us at DWMS Inc. to tell you how important it is that your office’s carpet looks clean and at its very best at all times. The simple fact of the matter is that on top of hygienic needs, a clean and well-maintained carpet is vitally important to give off the sense of professionalism that any successful business in Pasadena needs. So, whether you are a local distribution firm or a multinational tech company, you simply can’t afford to have your carpet look anything less than its best. Does my Carpet Need to be Cleaned? If you’re afraid of asking this question for fear of getting laughed at—don’t be. Wondering whether or not your commercial carpeting needs cleaning is a very common thought for business and property owners. Often times, commercial carpeting is designed specifically to hide much of what is deposited on it. With busy patterning or grey/beige tones, that tightly knit carpeting is keeping a multitude of problems secret from the uneducated eye. And hey, who wants to get down on their hands and knees to see just how dirty their office’s carpeting is? While some carpets clearly call out of or a commercial carpet cleaner with stains, wear and tear, and unpleasant smells, others play their cards close. In this case, a good rule of thumb to determine whether or not your carpet needs a good clean is to book professional carpet cleaning services every 6 to 12 months. Less for high traffic areas, more for low traffic areas. Hey, let’s face it, there are a wide range of benefits that come from having carpet in your Pasadena office. Whether its cost-effectiveness or ease of installation and intense durability, the fact of the matter is that carpets are very important for commercial offices and workplaces of all shapes and sizes. However, one potential drawback of having carpet in your Pasadena office is that it can get quite dirty if not maintained properly. That is why it is so important that you invest in a professional carpet cleaning service that you can trust. Makes a Better Impression: Whether it’s prospective clients, new employees or potential investors, the condition of the carpet in your Pasadena office can go a long way to ensuring that visitors to your premises leave with the best possible first impression. A clean and well-maintained carpet is not only important for the hygiene of your office and your employees’ health, it also goes a very long way to making a lasting positive impression. Air Quality Improvement: One of the biggest drawbacks of carpet is that dust, dirt and other bits of debris can easily seep into its fibers. This can cause serious odors and, on occasion, even add to respiratory infections. At DWMS Inc. we will never use harsh chemicals to clean your carpet as they can also cause unpleasant smells as well as contribute to adverse health effects. Our team uses only the most effective EPA-approved cleaning products to ensure the optimal results for your office. Superior Option: Using our years of experience combined with the most advanced carpet cleaning equipment and techniques means that your carpet will stay cleaner for longer and can ensure that your office looks its best while also guaranteeing that the health of your employees is as protected as possible. Gets Rid of All Dirt: At DWMS Inc., we take immense pride in providing our commercial clients in Pasadena with the best possible service. 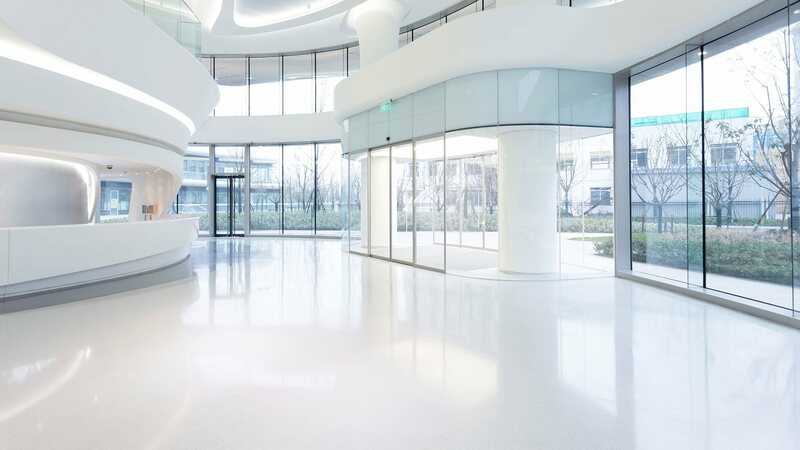 By combining the best high-performance cleaning machines with a wealth of experience we can ensure a fast and efficient cleaning service for office and retail units of all shapes and sizes. In real terms this means being able to successfully remove all greasy stains, dirt, dust water damage as well as many other pollutants from carpets and all other floor types. Everyone knows that floors, and especially carpets, are a magnet for dust, hair, pet dander and many other types of germs and bacteria. In spaces like this, regular vacuum cleaning just won’t do. Instead, call us at DWMS Inc. today and have our skilled team remove every piece of dirt, germ and bacteria from your office’s carpet quickly and effectively. You won’t be disappointed. Toxicity Free: Another great advantage of hiring a professional commercial carpet cleaning team to take care of your business’s floor-cleaning needs is that you can rest assured that all dust mites, mold, water damage and other contaminants that a floor or carpet may soak up are removed. This means that your employees and customers can look forward to breathing fresh and toxin-free air when they visit your office, store or industrial space. Enhanced Carpet Potential: An additional benefit of using a commercial carpet cleaning service like the one offered by us at DWMS Inc., is that your floor and carpet’s potential can be maximized immediately. The modern and innovative equipment that we use offers a range of special features which can help protect your carpet from future stains and spills as well as ensuring that existing blemishes are taken care of. Prolonged Lifespan for Your Carpets: As a business owner in Pasadena, you don’t need us at DWMS Inc. to tell you how expensive commercial carpeting can be for your office or retail space. So, if you want to ensure that that you don’t have to change your carpet very often, then you need to make sure that it is maintained to the highest possible standard regularly. At DWMS Inc. all our skilled technicians perform appropriate risk assessments to determine which cleaning method and piece of equipment is best-suited to your carpet’s unique set of needs. Doing so, means that you can rest assured that your business’s carpet will look better and last longer. Increased Wellbeing Amongst Staff: While it may seem a like an abstract advantage of having your carpets cleaned professionally, the fact of the matter is that studies prove that the general look and feel of your carpet can affect the overall mood of your staff’s morale and wellbeing. And it should come as no surprise that a well-kept work environment can boost concentration levels and even increase productivity among employees. By contrast, dirty and soiled carpets can adversely affect staff morale and efficiency. Once you’ve realized the benefits of regular cleaning and figured out how often you should be doing it, you’re going to want to budget for the upcoming year to include this service. At DWMS Inc. we provide our new clients with free estimates for service and speak with them on our first meeting about how often these services need to be taken care of. From there, we’ll be able to plan out the best course of action for your carpet cleaning! There are a few factors that go into carpet cleaning cost. Traffic, size, and age will all have an effect on your overall cost. While the current average for commercial carpet cleaning is $50-75 per room, all you have to do to figure out your rate is book a free estimate with one of our dedicated staff of commercial carpet cleaners! After professional carpet cleaning services have gone through your commercial building space, you’ll be wondering how on earth they got your carpets so clean! There’s just something about a professional job well-done that takes cleaning to the next level. That’s because the team at DWMS Inc. is fully trained, and have years of experience working on large-scale commercial cleaning assignments. No two carpets are quite the same. For every job, we’ll start off by determine what methods will be best for your carpeting, and then we’ll use those methods on every visit. While some carpets can benefit from industrial vacuuming, others may need a more delicate approach. Don’t place your best on an inexperienced carpet cleaning crew and risk ruining your carpet. Rely on DWMS Inc. to make yours the best commercial carpeting in Pasadena! So, whether it’s to improve your carpet’s appearance, or to set a great first impression for new clients, you need to make sure that your carpet receives a professional-level carpet cleaning service regularly. When the time comes to have your office’s carpet cleaned, you need to contact DWMS Inc. today. Trust us, you’ll be glad you called.